Amazon have released the all new Kindle Fire HDX in the UK. Boasting a huge number of improvements over older models, including ultra-fast processors, improved displays and even 4g, the new HDX is one of the most powerful Android tablets currently available. 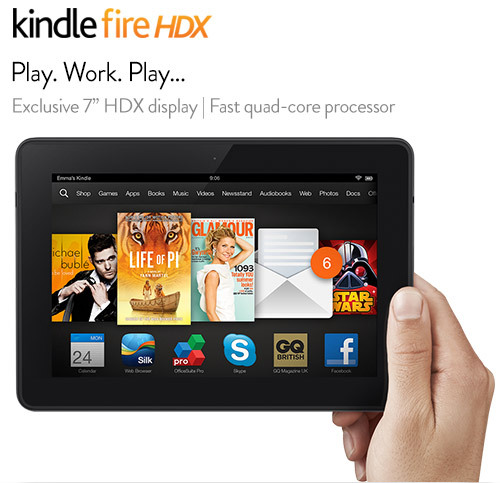 Starting at just £199 for the 7" model, the Kindle Fire HDX is bound to be a hit this Christmas. Just reading about this, I am very tempted I have to admit. It looks pretty impressive on a first look.